On Wednesday, 3-star defensive end (HV Rating: 86.7) Garrett Nelson‍ signed his letter of intent to play for Nebraska. Nelson has been committed to Nebraska the longest of anyone this cycle. He committed on Jun. 24, 2017. 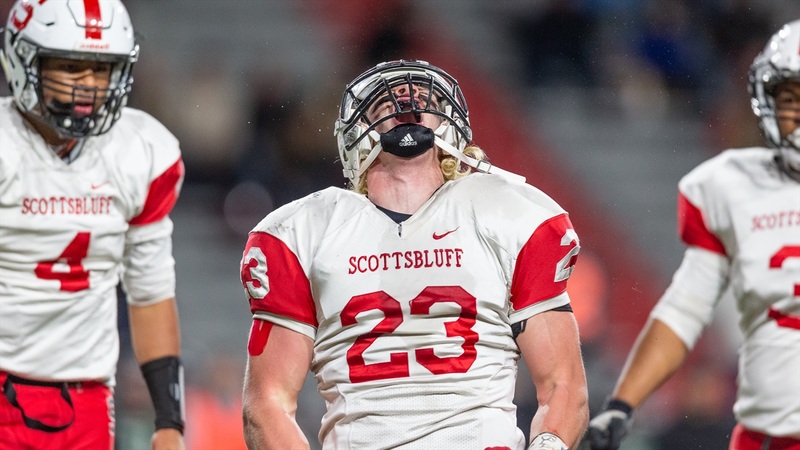 Nelson played mostly defensive end for Scottsbluff during his high school career but he will start his college career at outside linebacker, being coached by Jovan Dewitt. There are other players with higher rankings in this recruiting class but Nelson is the heartbeat of the class. Ask any commit about him and they will tell you just how “different” he is. In a good way, of course. For the perfect example of that, look no further than what offensive line signee Matthew Anderson had to say about being with Nelson on their official visit earlier in December. “Let’s say Garrett, sometimes I question his sanity,” Anderson said. “He’s a crazy dude. When we were hanging out with our host, his bright idea instead of going to hang out with the bros, he wanted to go to the weight room and work out. That was his big thing, he wanted to go work out with his host. Garrett is a different person. I’m very excited for him to make me a better person and athlete. He’s definitely a leader in the weight room and on the field, I’m hoping that rubs off on me. Nelson’s impact will be felt in this program both on the field and behind the scenes in the weight room with his work ethic. He arrives in January as an early enrollee.